Beautiful Swarosvki crystal pendants are dangled on a delicate sterling silver sparkly chain to create a fantastic everyday accessory for your wardrobe. Handmade with sterling silver wire, chain and lobster clasp. 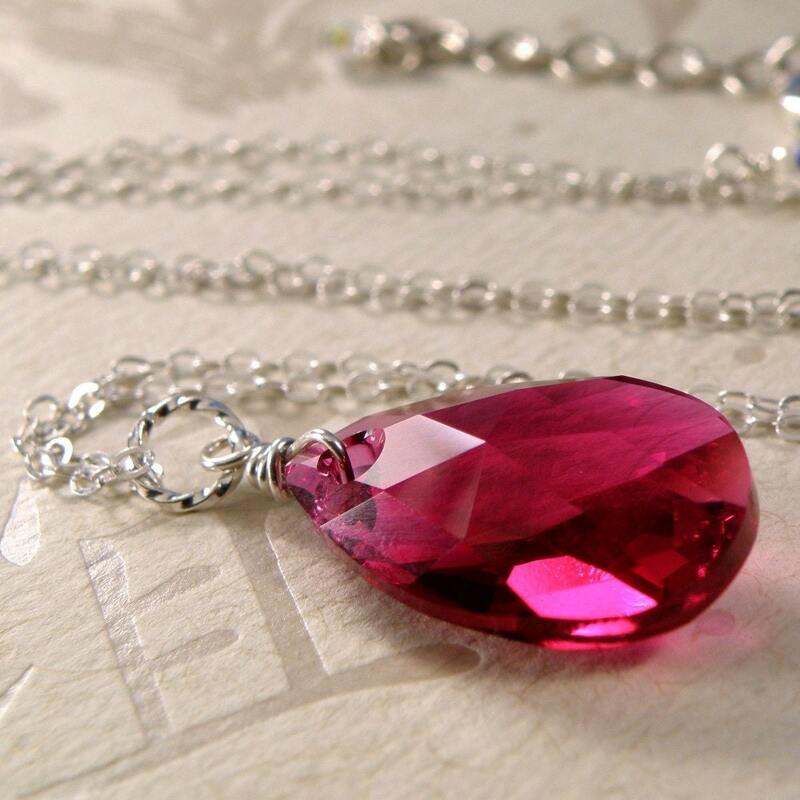 This necklace comes with one sterling silver chain and two pendants. I designed the necklace so that the pendants are removable. Switch out the colors according to your mood or wardrobe. Custom design your look! Color choices are black night, ruby red, golden champagne, and clear crystal. Once at check out, click on the message to seller box and indicate which TWO (2) colors you want with your chain. Folksy :: Buy "SALE - Rare Ocean Jasper Pendant"